This small wall has become very popular! 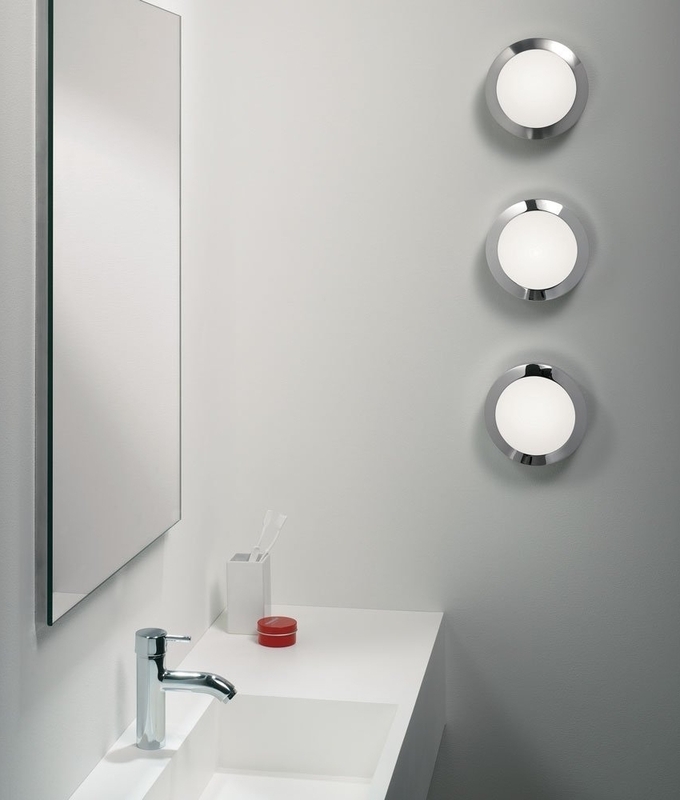 It has a polished chrome exterior with an opal glass diffuser and is a great addition to the modern bathroom. Being IP44 rated this fitting provides protection from splashed water and can be installed in zones 2 and 3. 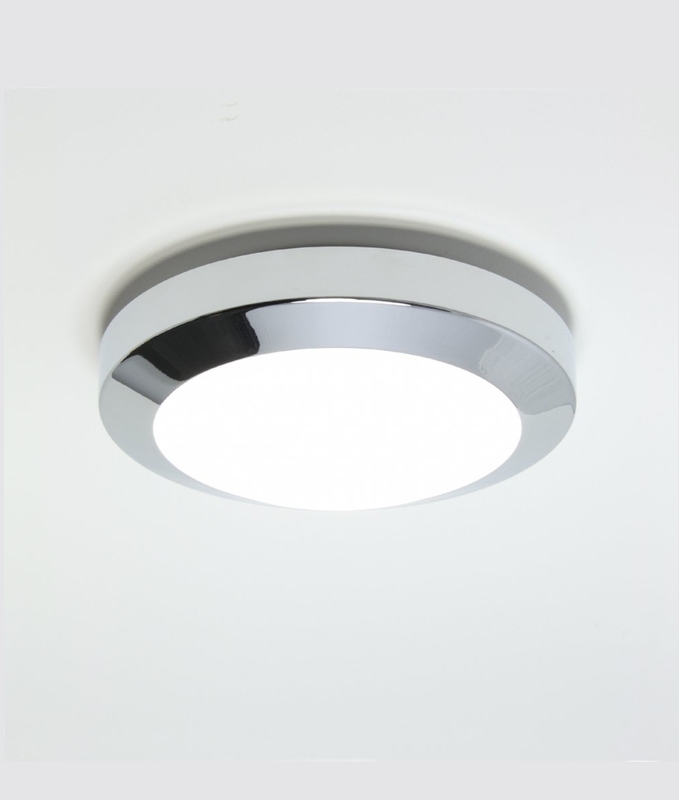 Designed to be installed as a ceiling light however there is no reason why it cannot be installed on the wall. Installing three in a horizontal line on a wall makes a great feature. Can be used with any GX53 lamp up to 13W, suitable for both LED and CFL energy saving lamps.